It's been a week since me and Ewan of MobileIndustryReview started our Gemalto NFC Contactless Challenge. During the weekend I decided to take it slow, aiming to complete the remaining challenges at a leisurely pace as well as discovering new stores offering contactless. Four challenges remained: get a hair cut, groceries, watch a movie at a cinema and buy a round of drink - all of which I have to pay for using contactless payment. On Saturday I truly believed I finally cracked one of the toughest challenges we have been set - the hair cut. As I walked into the Alternative Barbering Co. in St Albans, a sticker by the door proudly claims that PayPass (Mastercard's brand for contactless) is accepted. Well I was wrong, sort of. While getting my long overdue hair cut, I chatted with the owner who duly informed me that they once did, but not any longer. This is due to a number of factors including that the system was tied to Barclaycard and nobody used it. 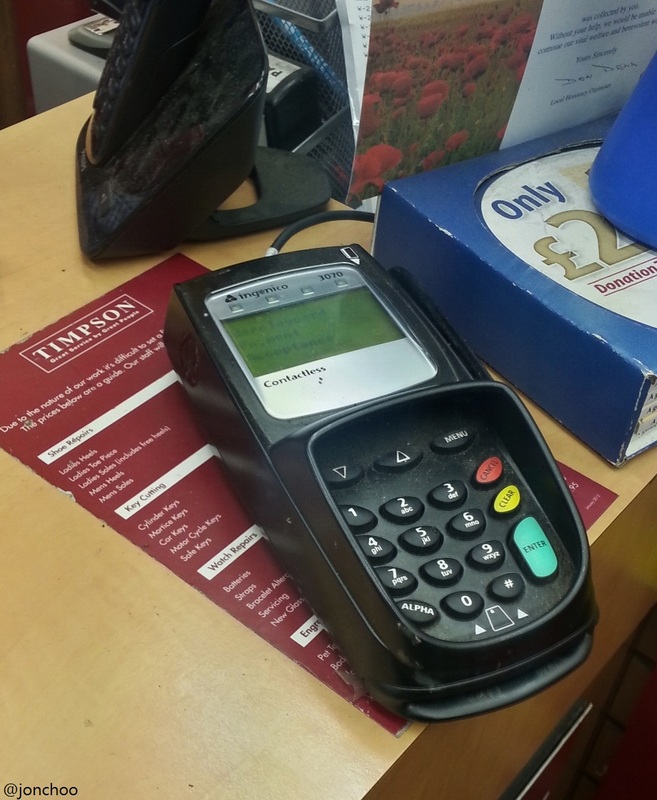 The PDQ terminal is still capable of accepting a contactless module, but until NFC payment becomes more widespread, it just doesn't seem worth it. 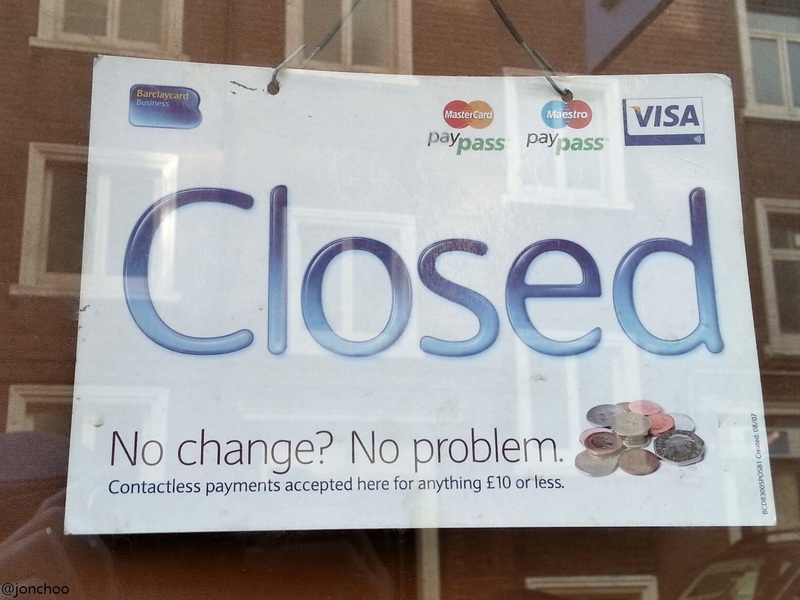 Still, St Albans isn't quite as contactless-free as I imagined. I sent a couple of pair of shoes to the cobblers at Timpson to fixed and they happily accepted my phone. I did have to split the bill first as the bill was well over the £20 limit. The Steamer Trading Cookshops also accepts contactless payment, though I can't imagine it being used a lot. It doesn't quite seem like the sort of store where a quick turnaround is required. The more the better I say. Christmas coffee? I so must try that. 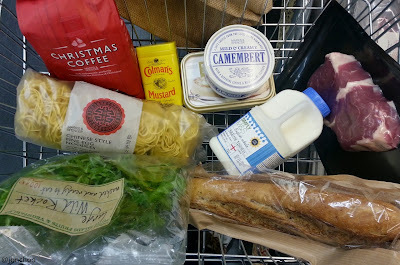 A revisit to the local Marks & Spencers to do my groceries revealed that the machine was functioning properly again. The local Slug & Lettuce has been contactless-enabled for some time. Here I met up with some friends who we have not seen for some months. First drinks and some snacks were on me (or should I say, Gemalto). Contactless is a popular here and bartenders always appreciate a payment method that allows them to move on to the next customer quickly. My 'local' the Victoria pub down the road has also gone contactless proving that if there is any industry that can get contactless off its feet, it is the pub industry. 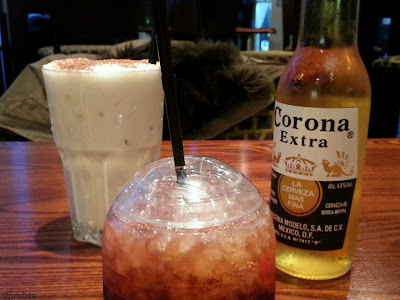 The following day, me and my partner hit up our favourite places in London. First was Soho where we found plenty of stores which accepts NFC payment. These includes Snog, Scoop and a couple of off licenses and newsagents. I wasn't surprised that contactless has gone big in the Soho district where many media-types hang out. LJ Coffee, a favourite coffee haunt of mine also happily accepts contactless as their sign happily proclaims. We had lunch at Pho, a Vietnamese-style chain restaurant. Here contactless proved a challenge as a lunch for two would easily surpass the £20 limit. Splitting the bill would be the way to go, but can prove a hassle for the restaurant, though in the end we did just that. 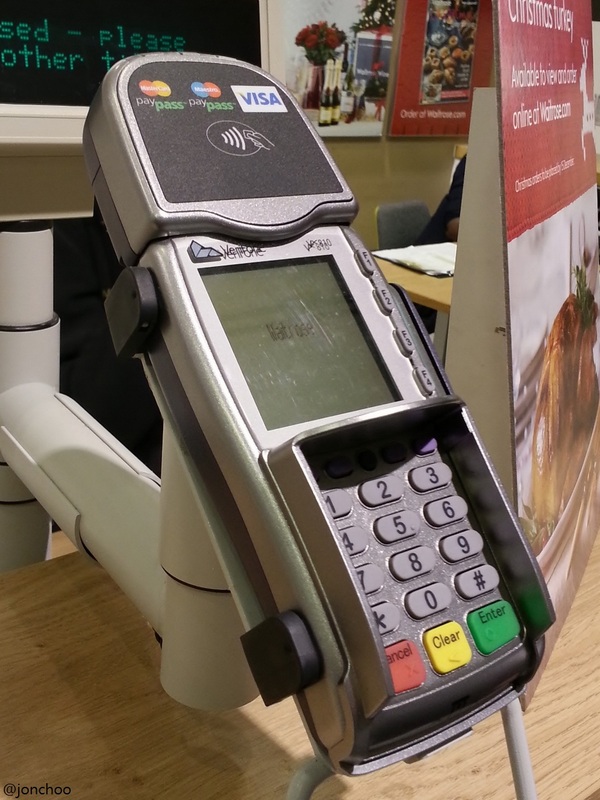 For a single person dining, paying by contactless, you would not encounter any issues paying. The waitress was gobsmacked when I paid using my phone - she assumed I was attempting to hack the terminal via my phone! 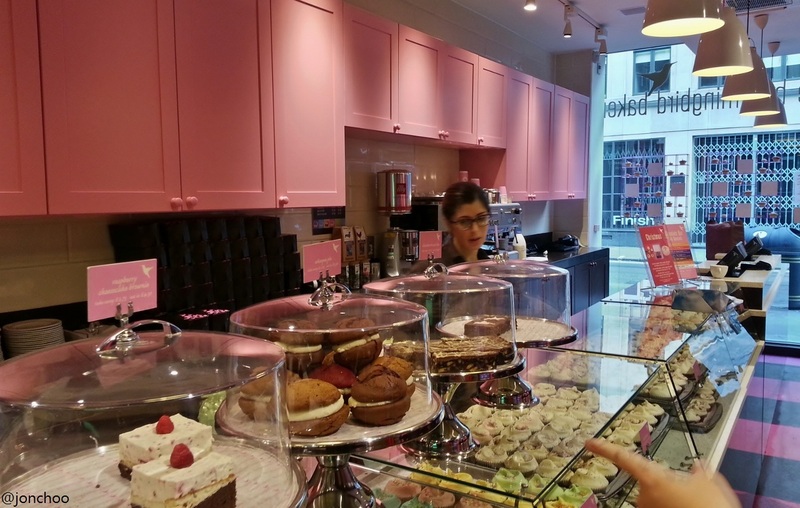 Next door lies two other stores that accept contactless - L'eto Caffe and The Hummingbird Bakery. Both are desert places, meaning more often than not, transactions under £20 are pretty common. Buying our cupcakes from The Hummingbird Bakery was literally a piece of cake (sorry), but again our server was amazed us paying using our phone. 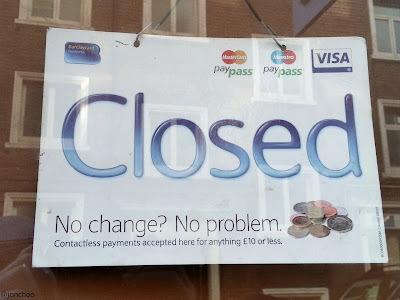 Sadly both L'eto, Hummingbird Bakery, and in fact, Pho, contains no sign welcoming contactless payment. Which I find odd as they attract lower fees. Our adventure continued eastwards at the famous Finnish Church Christmas fair in Rotherhithe and is part of the Scandinavian Christmas Market. The Finnish bazaar only opens for two weekends a year, so it is very popular destination for 1. 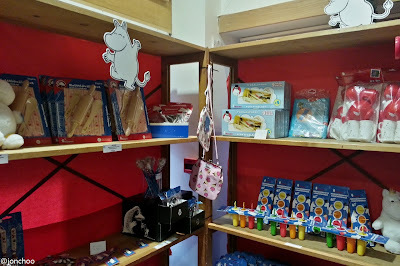 Finns living in London thinking of stocking up on their reindeer meat, 2. the rest of us who goes there for Moomin goodies. As a pop up store, the payment terminals here are all brand new. In fact, two terminals wers equipped for contactless. I did not attempt to pay using contactless, as we sort of went a bit crazy on the whole Moomin thing, but I am going to chalk this up as a venue that possibly accepts NFC. A quick pit stop at Canary Wharf in Docklands revealed the usual brands such as Pret A Manger and a couple of newsagents. We quickly moved on to Westfield Stratford City, where its proximity to the Olympic Park, should prove how widely accepted contactless payment is. How wrong I was. Disappointingly, I can include the LEGO store, Grind Coffee Bar, Supercuts (a barber), VUE cinema, Japan Centre and practically every store at the food court apart from Pho, as venues that offers an alternative to plastic and cash. On the other hand the Waitrose and Searcys Champagne Bar. Never a fan of Westfield anyway, we legged it out of there, heading to the one other place that was busier. 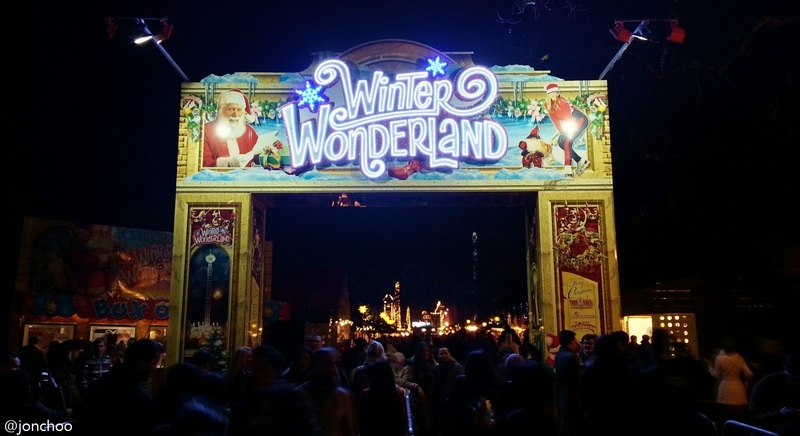 The annual Hyde Park Winter Wonderland is London's top Christmas destination. Here, you will find all sort crazy Christmas-themed stuff, including a German market, concerts, stalls and theme park, complete with ice rink, rollercoasters, Ferris wheel and a zip line! It was here I aimed to put contactless out of my mind, but of course you know how things go and in spite of my promises, I found myself checking out stalls with the tell tale signs of contactless acceptance. 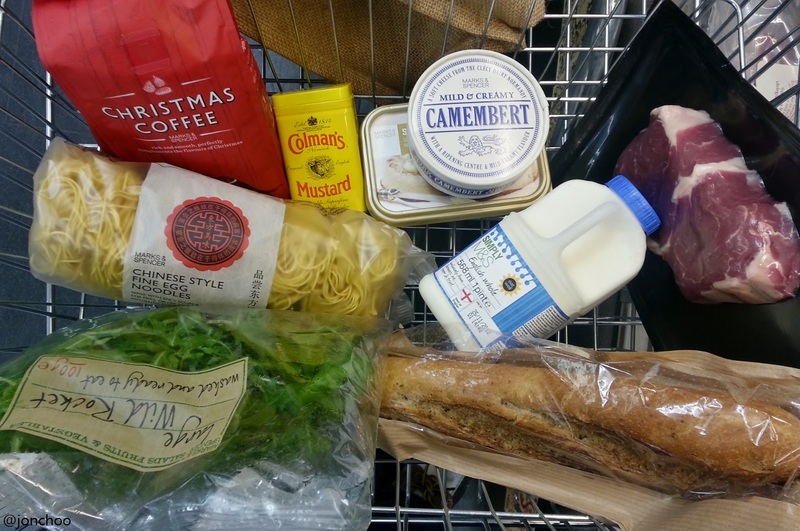 Despite being an obvious cash-heavy destination, a few independent stores there were willing to accept plastic. I did however locate a store that actually has a contactless-compatible machine. With three days to go, and two challenges remaining, I fear things are slowly wrapping up. If any readers would like to issue me with fresh challenges, please do so via the #GemaltoNFC hashtag or through @gemalto twitter account. 'Invest' in a box of treats - Marks & Spencers: Simply Food, St Paul's - donuts! Great idea, 10 days of nfc Challenges in London. 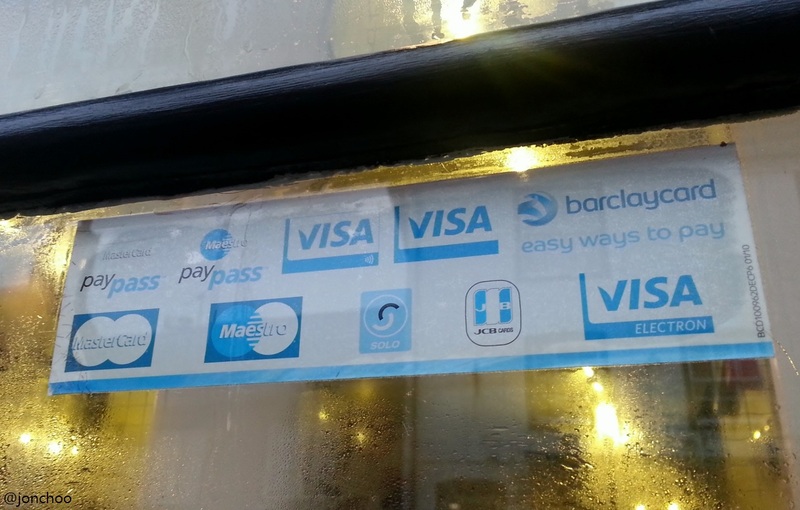 Most is about contactless payments. I thought, find a smartposter! But that's a mission impossible maybe. You aren't very shy? What about, enter a bar and snap photos of 10 nfc enabled phones?